In the third Artemis Fowl instalment the 13-year-old criminal mastermind takes on his most cunning adversary yet — American billionaire Jon Spiro, owner of the high-tech firm Fission Chips. 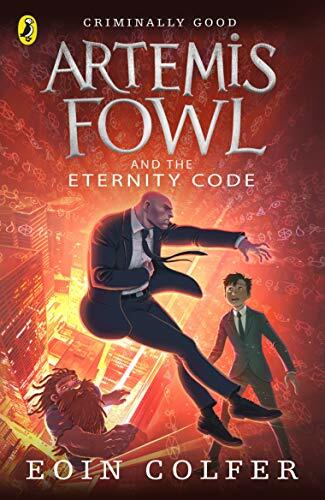 While recuperating Artemis Fowl’s father, AF Senior, stuns all with his pronouncement that he wants the family to turn over a new leaf and stay on the right side of the law. Not surprisingly Artemis has other plans for one last heist, after which the Fowls will become a law abiding family. Anyway Artemis had been planning the job long before his father’s damascene conversion to all things legal. Anyway, what could go wrong? Everything, as it turns out. Artemis’s scheme to extract one metric ton of gold from Spiro, in exchange for keeping the C Cube, a mega computer (built from parts stolen from the fairies), off the market, implodes spectacularly. In order to save Butler, his bodyguard, and set things back to rights in the fairy world, Artemis joins forces with Butler’s sister Juliet and drafts the help of his nemesis Captain Holly Short, Foaly the computer nerd and the breezy, dwarf Mulch Diggums. The die is cast for all kinds of interwoven mayhem that culminates with the climactic break-in at Chicago’s Spiro Needle. 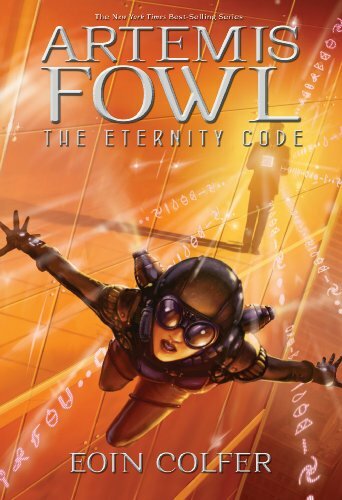 Another Artemis exploit that matches the action and suspense of the first two Artemis Fowl books. Twists and turns get better as Artemis schemes his way into Spiro’s lair, and the novel slaps readers with a mind-spinning finale. Like a fine wine, Fowl’s brilliance gets better with age. It’s hard to imagine a summer reading book that’s more fun.